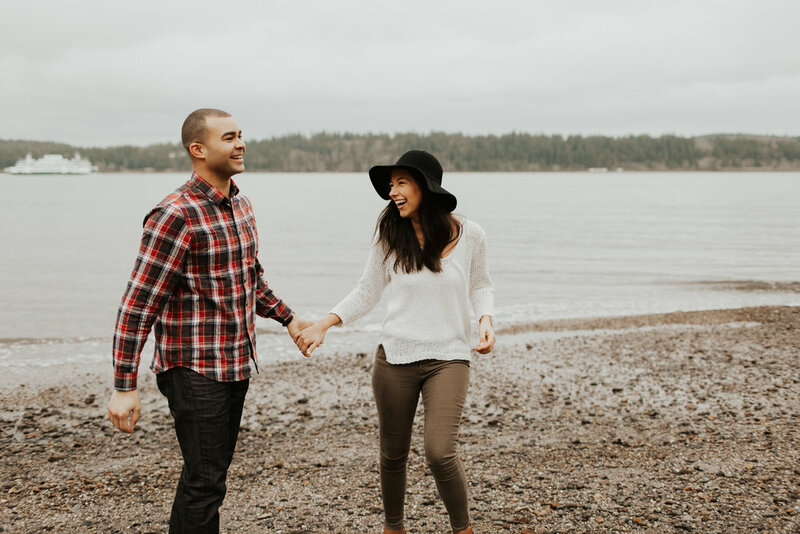 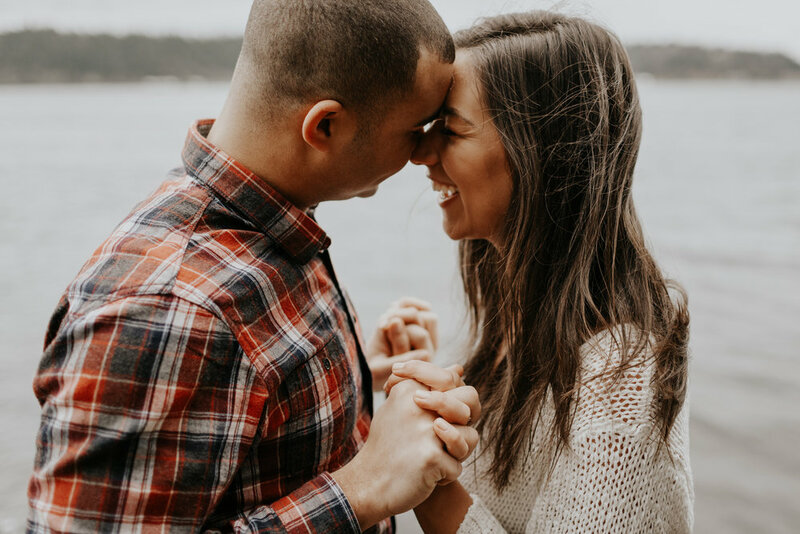 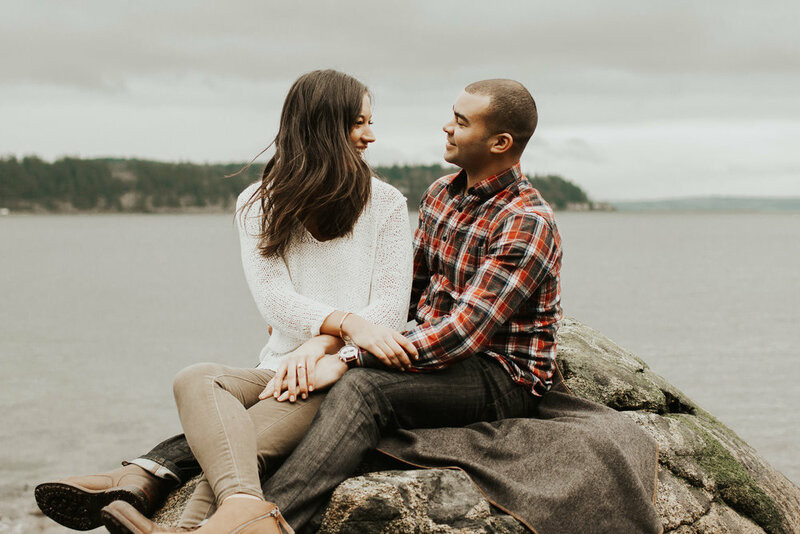 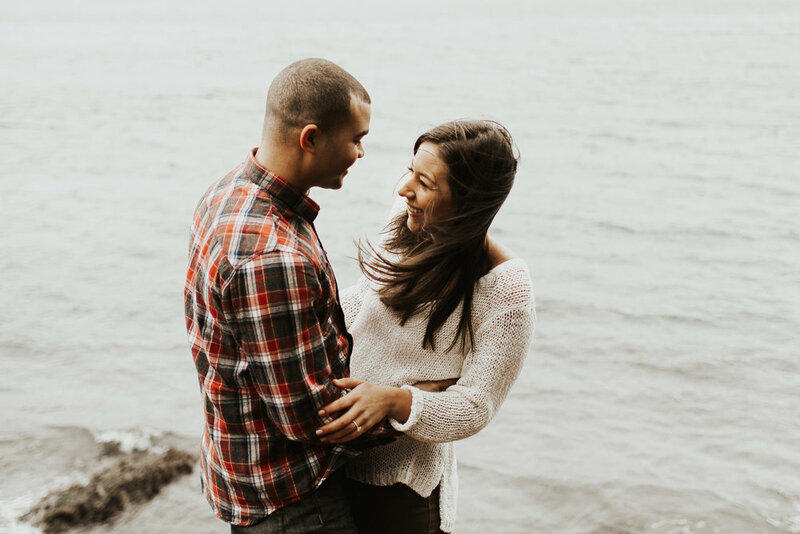 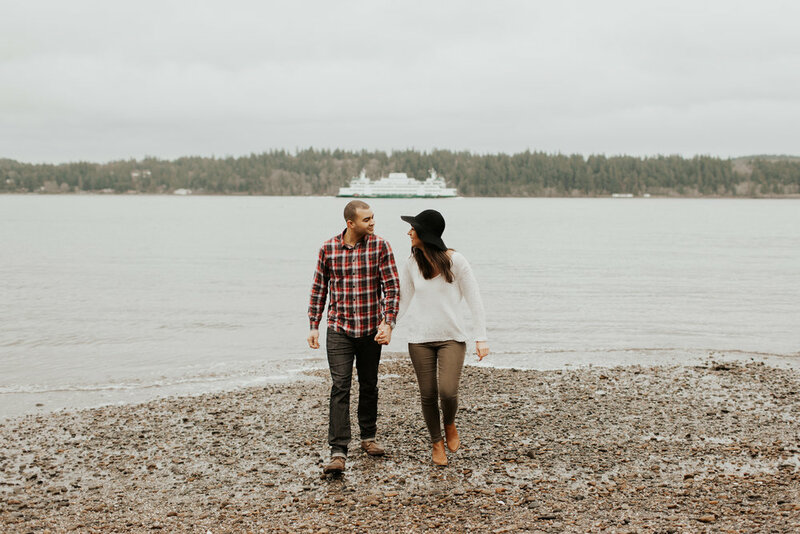 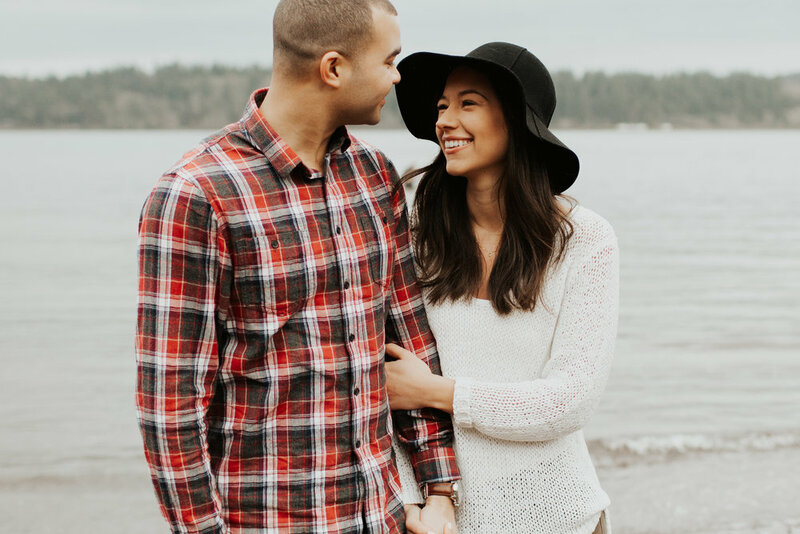 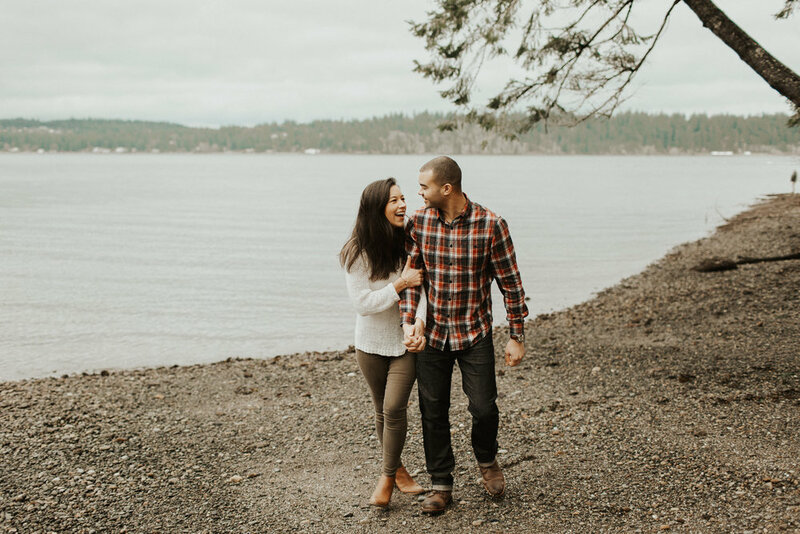 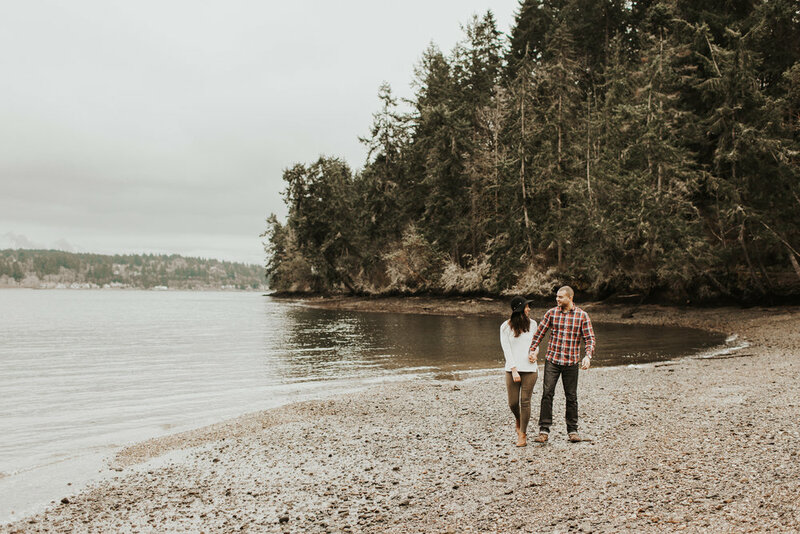 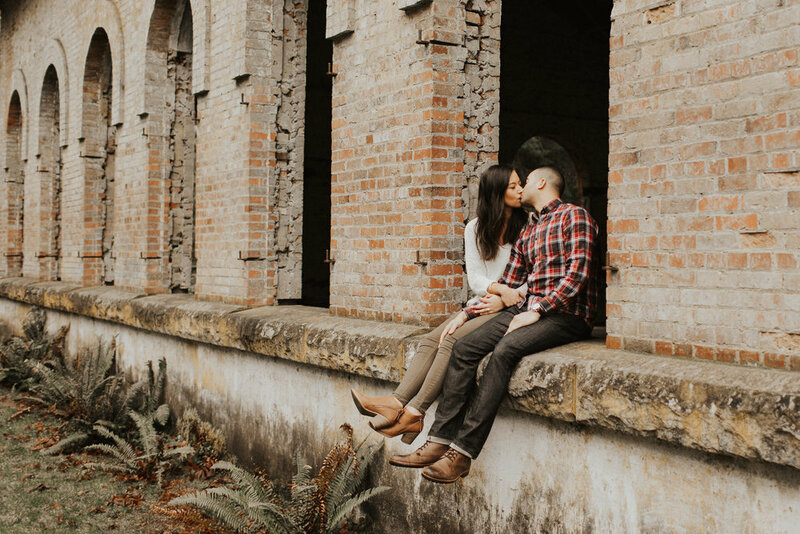 I ventured out to Port Orchard, WA for Aubree and Jeff's engagement session. 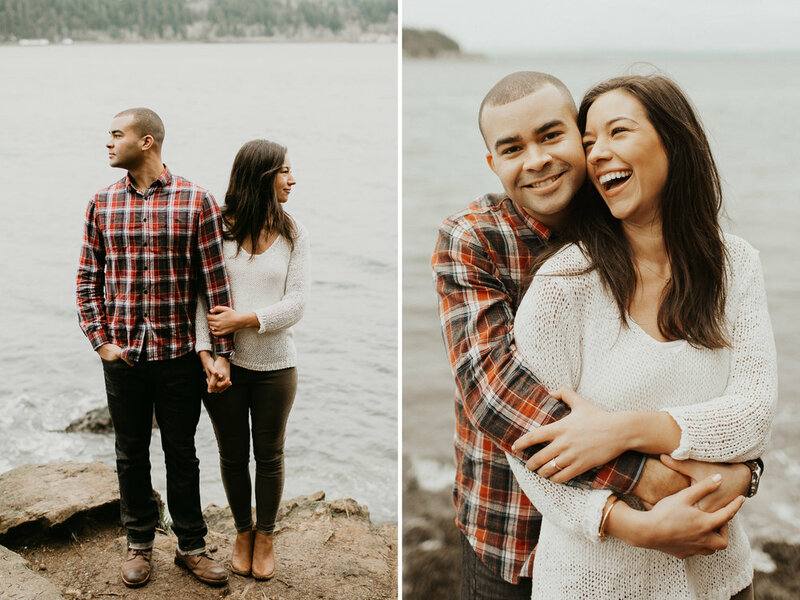 These guys are freakin' cute. 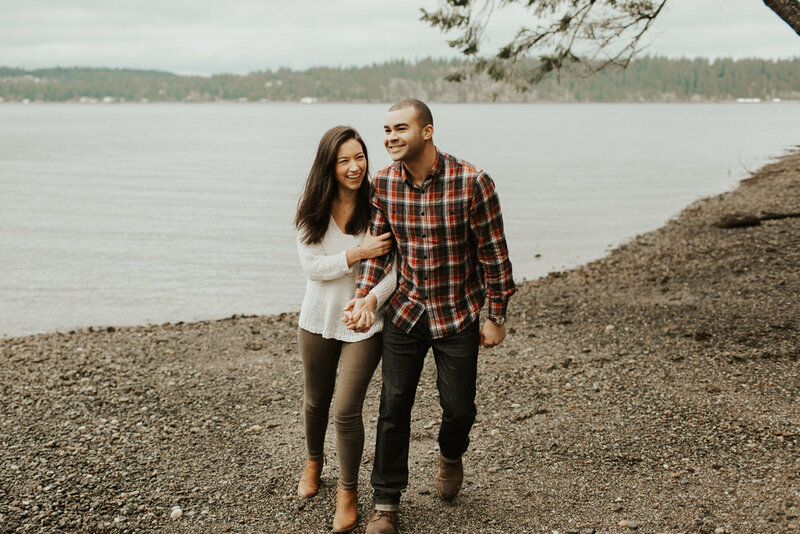 They're getting married out in Quilcene, WA this summer on his family's property and wanted to incorporate some of the PNW water into their session. 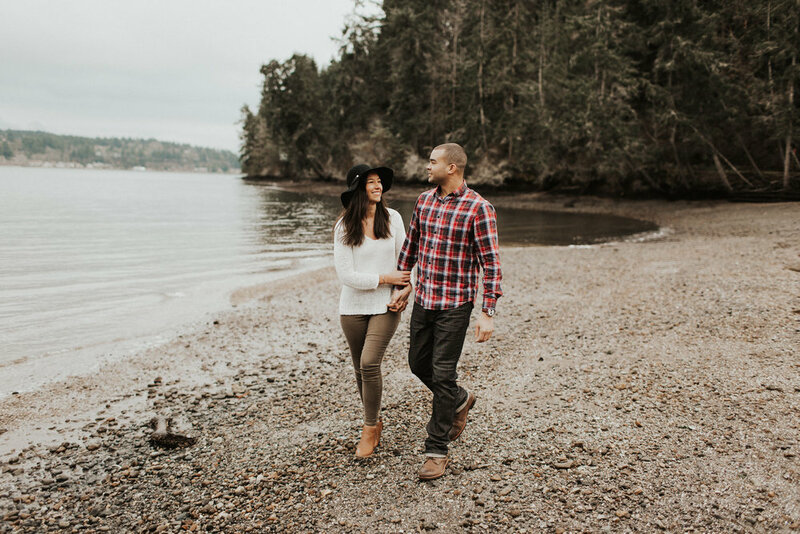 We actually had originally talked about doing a fun snow session but made some last minute changes for this location. 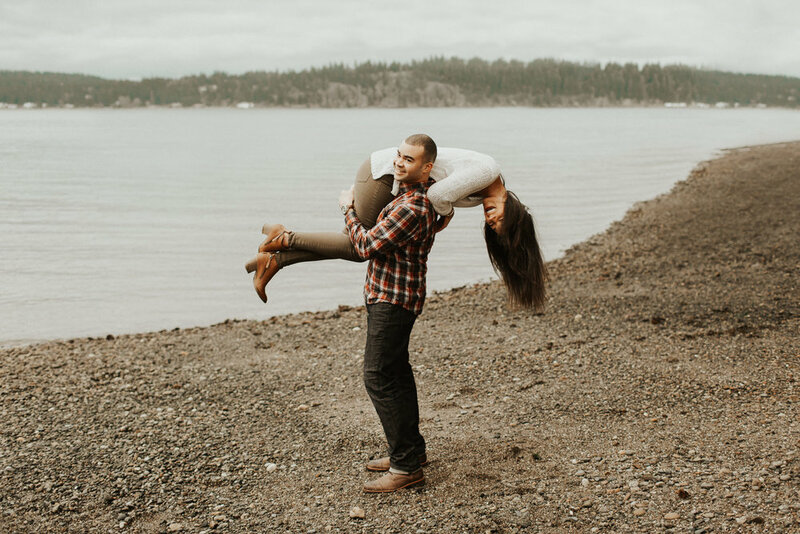 We were laughing about it during the session as Aubree admitted that they 'aren't snow people' so why would they do a session in the snow!? 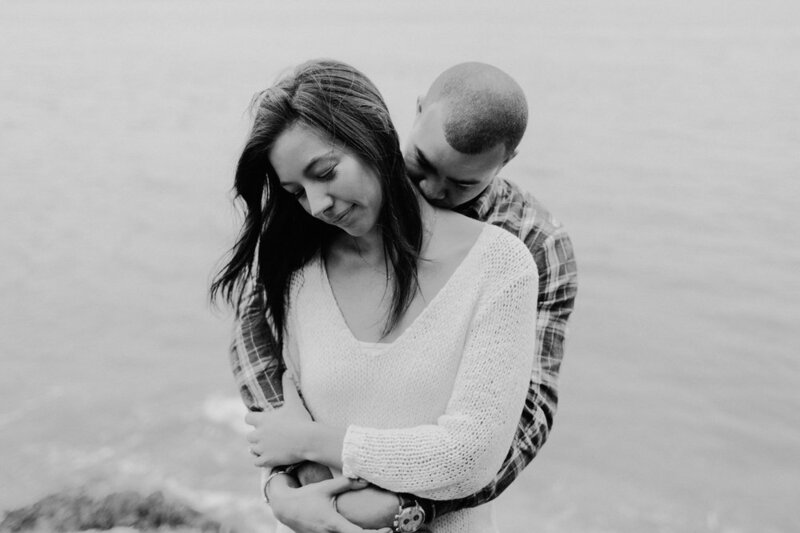 This made me SO HAPPY. 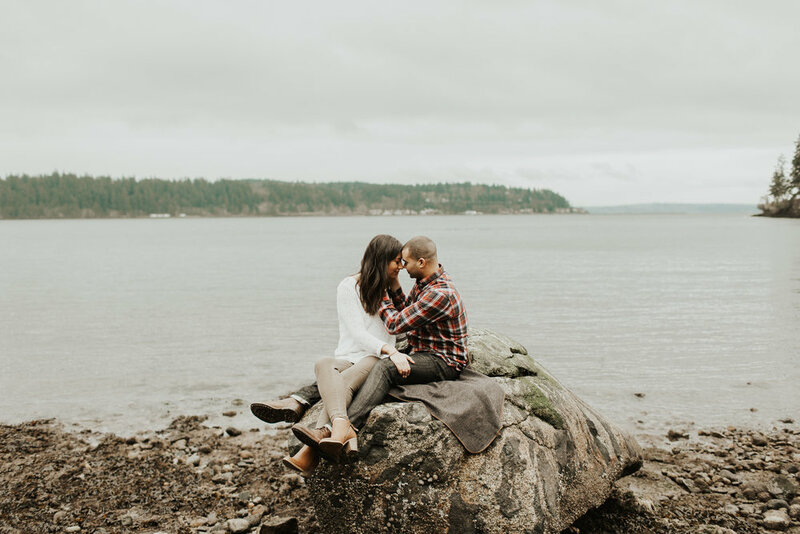 All I want for these sessions is for my couples to feel comfortable, have a ton of fun, receive some photos that they love and that are true to who they are as a couple, and walk around from the session feeling like they just killed it. 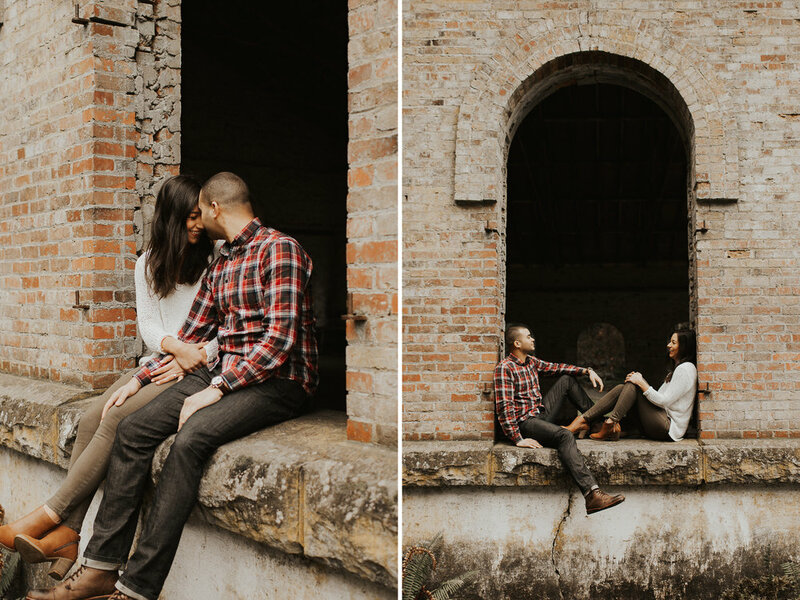 We had so much fun, by the end of the session these two felt like friends. 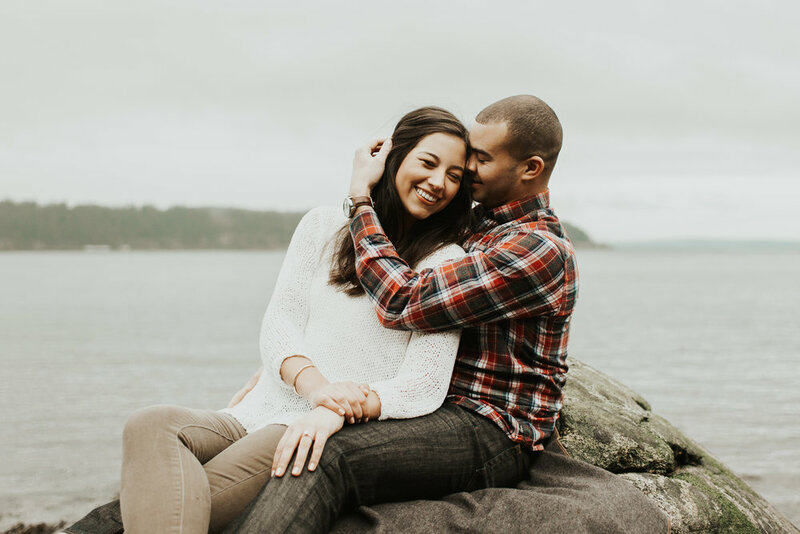 I already feel like I know their families just from what they've told me which makes me even more excited to actually meet them all on their wedding day. 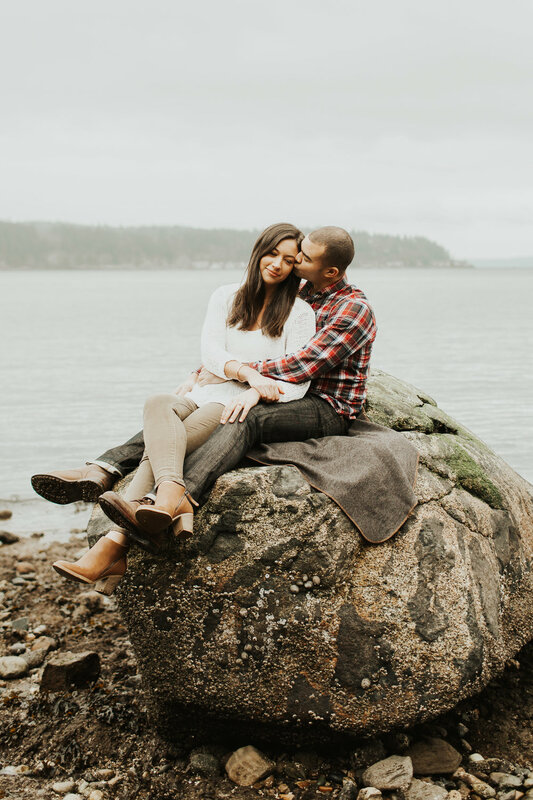 They got a ton of photos in a location that speaks to who they are as a couple who loves camping, and fishing, and being in the PNW outdoors. 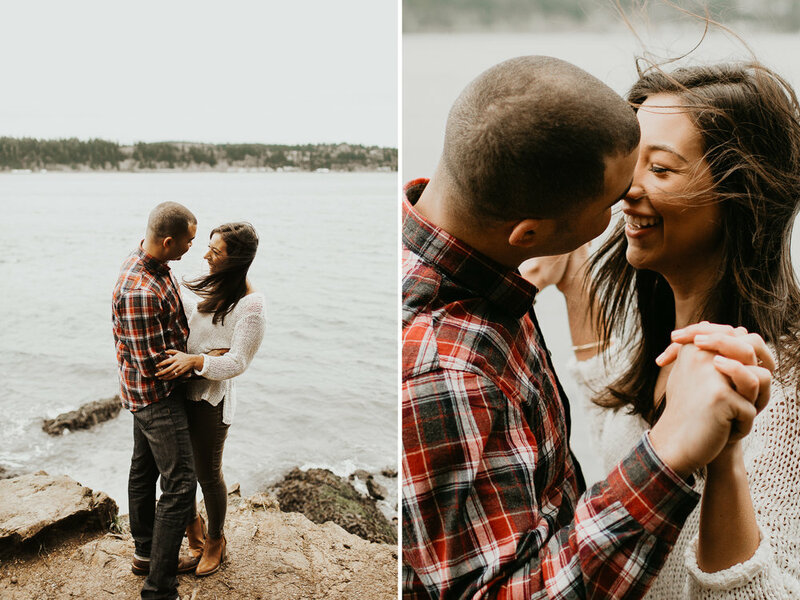 And they should seriously feel like they absolutely nailed this session and feel so ready for their wedding photos! 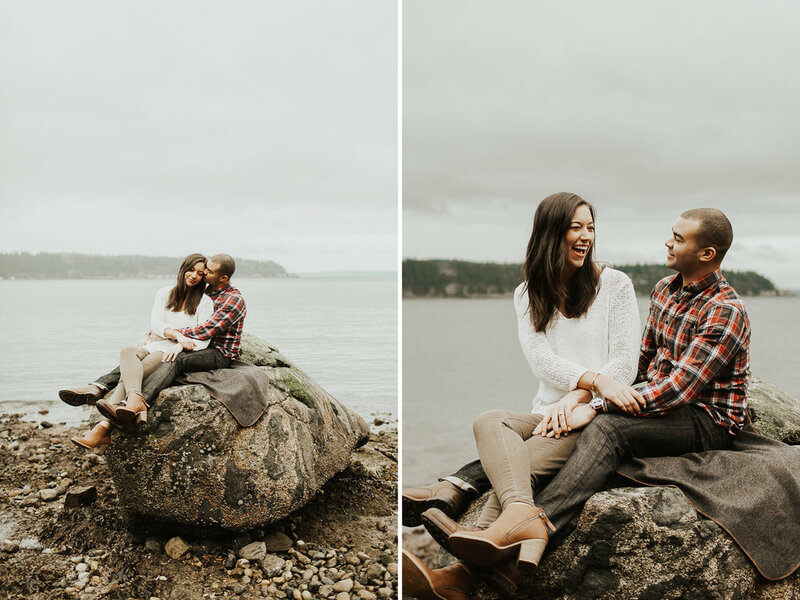 A+J you guys are babes, thanks again for exploring with me and sharing your love + energy with me.